I'll be completely honest, i'm not too sure this week's office crush requires much more from me other than...WOW! 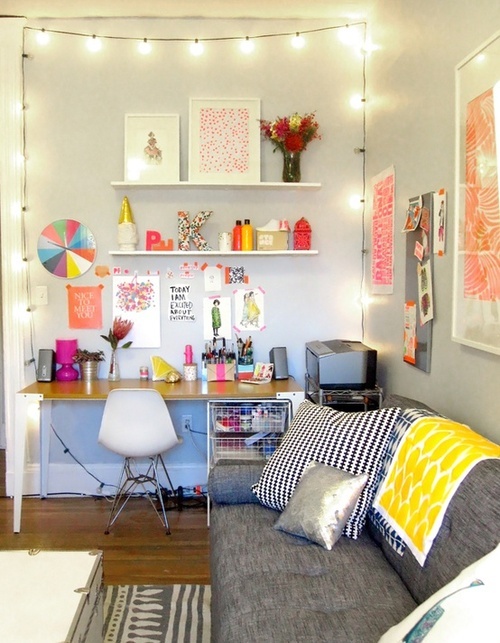 I have enormous office envy after spying this on Pinterest yesterday via Small Rooms! I only have a small area of our apartment set aside for my personal 'blogging space' and this has just completely raised the bar for me in how a small space can be used to make a beautiful home office! i'm not very often lost for words, but this space is just beautiful isn't it!